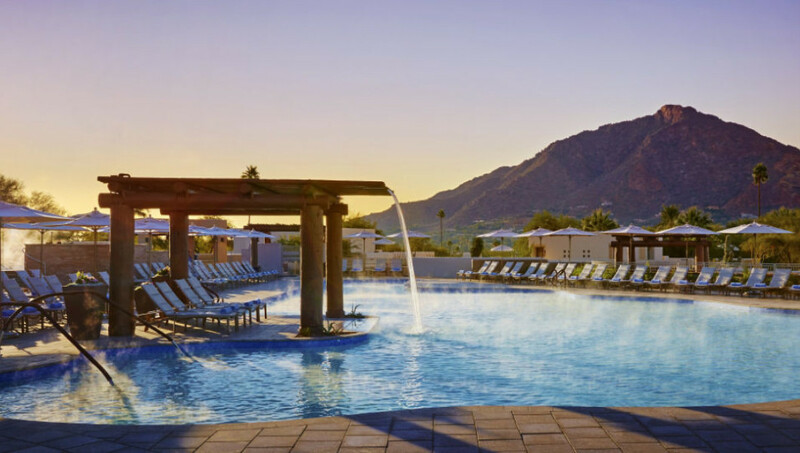 JW Marriott's workout companion guides come courtesy of the brand’s new Wellness Ambassador, Nora Tobin, who is also pioneering wellness retreats across the US, beginning with a launch event in Camelback, Arizona. We spoke to the wellness wizard who “weighed in” on the new initiatives. What can we expect from the new Fitness On Demand videos? JW Marriott’s new Fitness On Demand in-room videos deliver efficient and effective workouts. The program offers a range of activities that appeal to everyone and enhance productivity, boost weight loss, increase energy, reduce stress and rev the metabolism for up to 24 hours. JW Marriott makes it super easy for guests to stay active on the road by providing effective workouts from the comfort of their hotel room! Who are the videos designed for? And does it matter what your fitness level is? The FitnessOnDemand videos are designed for health-conscious guests who want to stay active while traveling. JW Marriott’s FitnessOnDemand videos allow guests to participate in a variety of activities ranging from Yoga to mindfulness to HIIT (high-intensity interval training) tailored to all fitness levels. These videos range from three to 30 minutes in length, and fit into even the busiest traveller’s schedules. What are the benefits of a well-being retreat with JW Marriott? The JW Marriott wellbeing retreats centre on the philosophy of fulfillment and bring it to life through exceptional culinary creations, exciting fitness & yoga sessions, remarkable outdoor experiences, indulgent spa treatments and personalized one-on-one sessions. Guests who take part in one of JW Marriott’s retreats will receive tailored strategies and actionable steps that they can follow even after the retreat ends. JW Marriott currently has retreats scheduled at their hotel locations in Austin and Los Cabos, and dates for the Marco Island Florida retreat will be announced soon! Eating healthy is incredibly hard when you’re staying in a hotel – how is JW Marriott helping us stay on track? It is definitely challenging to make healthy choices while traveling, but JW Marriott has made it easy for its guests. Healthy and delicious in-room dining menus are easily accessible at all JW Marriott properties. These menus offer satisfying smoothies and revitalizing juices that are artfully blended and brimming with healthy benefits and essential nutrients to nourish overall well-being. Not only are they good for you, but they taste great too! What are your top tips for quick workouts on the go? Planks are one of my favourite exercises! In addition to being one of the best workouts for a flat, toned stomach, they work all of the muscles in the core and can be performed anywhere. It is important to also incorporate meditation and breathing into workout routines. My 1-minute meditation trains the mind to stay calm, centred, and focused without spending a lot of time on it. A 1-minute increment of deep breathing helps us centre ourselves and reconnects the mind to the body. Such 1-minute increments increase creativity, reduce stress, and help you approach tough situations with ease. No matter your location or the time of day, you can incorporate this mindful practice. Do you have any other “health hacks” for people on the road? One of my favourite “health hacks” is the 8-hour eating window in which you eat all meals within an 8-hour time period. This enhances the body’s natural ability to speed weight loss and improves cellular turnover and also allows for delightful indulgences without the negative effects. In addition to sticking to the 8-hour eating window, it is also important to keep your body fueled with natural foods and not to deprive yourself. If a sweet craving kicks in, dark chocolate (70% and above) is a great solution as it is made up of powerful antioxidants that help prevent premature aging. Dark chocolate also boosts the immune system, brightens skin, strengthens hair and delivers sustained energy. I always have some on hand when I am traveling!